50 Cent Shares Throwback Pic Of Super-Bowl "Infinity Gauntlet"
Home>Music> 50 Cent Shares Throwback Pic Of Super-Bowl "Infinity Gauntlet"
Should 50 Cent snap his fingers, Wendy Williams and Ja Rule might disappear. 50 Cent one vowed that he would get rich or die in the process. Now that he has achieved his goal, it would appear he's content with flaunting the fruits of his labor. Fif has certainly earned his fortune, having enjoyed a storied music career, invested in various business endeavors, and played a pivotal role in shaping a television empire. And while he has never once played a game of professional football, 50 has somehow managed to accumulate a genuine "Infinity Gauntlet" of Super Bowl rings. Last November, 50 took to Instagram to show off his collection, strategically placing the camera for optimum "shine." Now, in the wake of the New England Patriot's sixth Super Bowl championship, Fif has decided to double up on the iconic image, a hip-hop variant of the notorious Thanos. One has to wonder what might befall his enemies, should his fingers get to snapping? After all, Fifty Cent has likely beefed with fifty-percent of the rap game, and that's a conservative estimate. 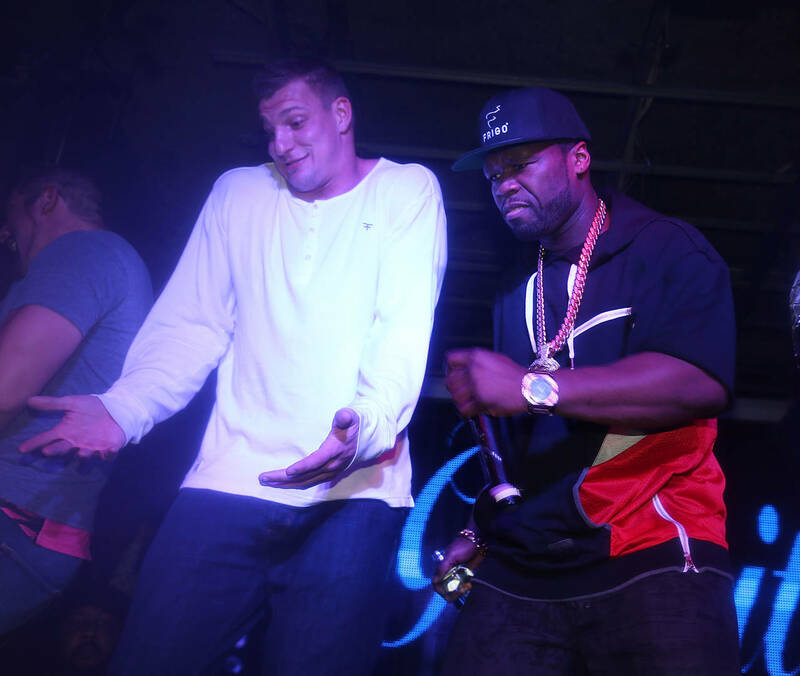 In all seriousness, Fif continues to make his mark on the game, proving that success comes to those who will it. Or at least, to those who make wise bets. Case in point, 50 has officially forgiven Tom Brady for last year's Super Bowl loss, implying that a bet on the Patriots is still money well spent. In an era of money phones, making it rain, and duffel-bags o' cash, 50 Cent has once again established that flexing is far from a young man's game. MUSIC 50 Cent Shares Throwback Pic Of Super-Bowl "Infinity Gauntlet"